This is a first for the blog, having a poet aboard. I freely admit my talents do not lie in poetry, and I’m in awe of those whose minds work in that direction. 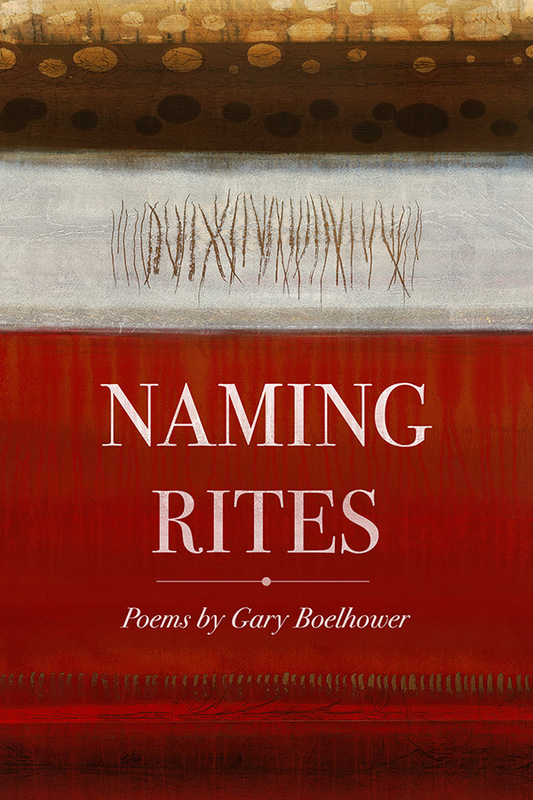 So it’s a pleasure to welcome Gary Boelhower here today to mark the publication of Naming Rites, his third collection of poems. This collection explores the ways we are named and branded with multiple identities, a clay vessel molded and imprinted from the inside and the outside by those who know us or think they do, by wounds, worries, stones, and nicknames, by place and absence, by teachers and traitors. Boelhower dares to name the body’s blows and pleasures and how they are celebrated in solitude and connection. His language soars with ecstasy and burrows into hidden places in the soul. His lyrics tell how the world’s pain lodges in the cells and how the fragrance of summer stars opens an aperture to healing. Boelhower is winner of the Foley Prize from America and the Midwest Book Award for his second collection Marrow, Muscle, Flight. Gary Boelhower’s poetry has been published in many anthologies and journals. His second collection of poems published in 2011, Marrow, Muscle, Flight won the Midwest Book Award. He was awarded the Foley Prize in poetry from America magazine in 2012 and a career development grant from the Arrowhead Regional Arts Council in 2010. His recent nonfiction books include Choose Wisely: Practical Insights from Spiritual Traditions, and Mountain 10: Climbing the Labyrinth Within,(co-authored with Joe Miguez and Tricia Pearce). His third collection of poems, Naming Rites, was published in April by Holy Cow! Press. Gary teaches courses in spirituality, ethics and leadership at The College of St. Scholastica where he is a professor in the Theology and Religious Studies Department. Previous Alina Popescu’s Angel’s Feather is here!